$2,350 per person for one week of fabulous Alaskan self-guided Salmon and Halibut fishing, and sightseeing or Spring Black bear hunting. Includes comfortable lodging, three meals daily, rods and reels, tackle, bait, boat, fuel, transportation to and from airport, filleting, vacuum sealing and storage of your catch, crab pot and USCG safety equipment. Rates do not include airfare, fishing or hunting license, stamps or tags. Your Alaska Salmon & Halibut Fishing Trip or Alaska Self-guided Black Bear Hunting Trip at Budget Prices! 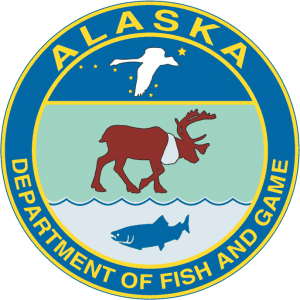 Alaska Non-resident sportfishing 7 day license- $70.00. If coming to fish for King Salmon you will need an additional $45.00 King Stamp. Book 10 people and the 11th is free!